It is difficult to establish exactly the age of the first settlement of Sutri, but it is certain that, even if the city is in the Faliscan territory, due to its limited position with Etruria proper, it was deeply permeated by Etruscan culture; from the extension of the necropolis of the time it can be deduced that the pre-Roman habitation was not large. Its fate was very similar to those of nearby Nepi: after the fall of Veio, the ancient Sutrium, it entered the Roman orbit for its strategic position, inferred as a colony of Latin right in 383 BC, thanks to the link with Rome he enjoyed throughout the imperial age of economic prosperity. The ancient city, which coincides with the medieval center of today’s Sutri, stands on a tufaceous plateau of approximately triangular shape, of which nothing is conserved in the modern built-up area except for some parts of the city walls. The evidence from the Roman funerary architecture is more significant: along a tufaceous ridge that runs along the current Via Cassia in the direction of Rome, there is a notable example of a rocky necropolis, preserved for a length of 200 meters. The burials are 64, arranged also on several levels depending on the type; the most significant are undoubtedly chamber tombs, sometimes with complex plans and enriched by external architectural decorations. The territory of Caprarola is surrounded by green hazelnut woods, which produce one of the best qualities of hazelnuts on the Italian market. At the end of August to celebrate this product of excellence, we find the famous Sagra della Nocciola, an event in which you have the opportunity to taste this excellent fruit of Tuscia. But Caprarola is not only this: Etruscan and medieval history come together in a multi-faceted territory. In fact there are many testimonies related to ancient times, especially in the Middle Ages, a period in which we have the first true evidence of the existence of Caprarola. The town boasts a particular urban structure, due to the intervention of Jacopo Barozzi, called il Vignola. This fact is composed of a main street, the “Via Dritta”, from which all the consular roads start, and ends in the square on which Palazzo Farnese stands. To make room for the construction of this building, part of the village was destroyed, but the result was a palace of great value and architecture, which is still a symbol of Caprarola. 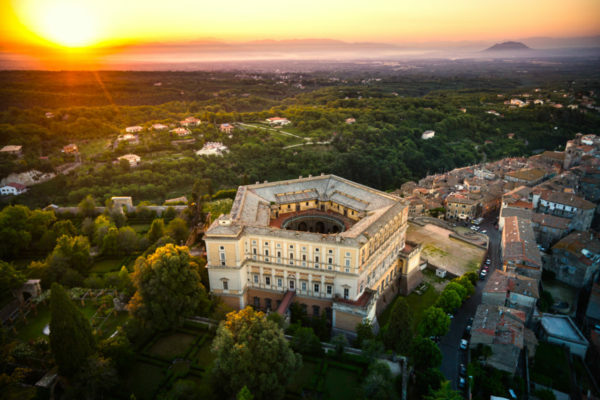 A relaxing tour away from the chaos of the cities surrounded by the most unspoiled nature such as the lake of Vico near Caprarola, or the wonderful hazel groves that surround the territory. The incredible necropolis and tufaceous constructions of Sutri will give a unique touch to a tour that will be hard to forget. But the most famous Roman monument of Sutri is undoubtedly the amphitheater: the building dates back to the Augustan age, around the end of the 1st century BC . 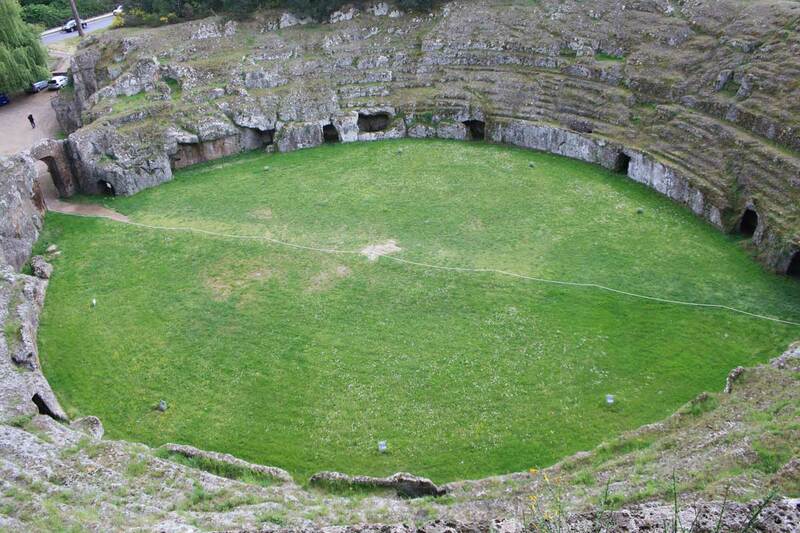 ; it is completely excavated in the tufaceous bench, in which the steps were also obtained; oval in shape, has a small size and has at the end of the main axis two access tunnels to the arena covered with barrel vaults. The steps were divided into three orders according to tradition and were accessed by four vomitoria, or entrance corridors; the capacity had to be about 5000 spectators, while for what concerns the intended use, it is likely that it hosted venationes, battles with ferocious animals; functional to the shows were the small doors still preserved along the podium that delimits the arena and leading to an ambulatory that follows the course of the cavea. Outside the amphitheater was practically devoid of a recognizable architectural shape, following the appearance of the tufaceous hill; it was characterized by a crowning of statues and columns, found in fragments at the time of excavation in the early twentieth century. Roman origins, but use radically changed over time, has the so-called Mitreo, since the early Christianity church dedicated to the Archangel Michael, then to the Madonna, with the current name of Santa Maria del Parto: the division into aisles, whose side very narrow, the steps in front of the altar, the niche for housing the bas-relief with Mithras who sacrifices the Cosmic Bull, and the Fossa sanguinis, where to pour the sacrificial blood, are the elements present here and common to all places of Mithraic cult; when the building was turned into a church, an entrance vestibule and valuable fresco decorations were added with incidents relating to the foundation of the sanctuary of San Michele sul Gargano and realistic scenes of pilgrimage to the Pugliese sanctuary. Cathedral of Santa Maria Assunta. The church, whose construction began in the twelfth century, and which was consecrated by Pope Innocent III in 1207, was built in Romanesque style; numerous interventions over the centuries and above all the massive reconstruction of the eighteenth century deeply changed its appearance, turning it into a work of Baroque taste; of the primitive building remains the crypt divided into eight naves by columns with a remarkable variety of capitals coming from ancient buildings and a singular series of frescoed niches to cover the wall, an element of probable renana inspiration, the floor of the central mosaic nave Cosmati marble and the presbytery. The façade, the division into three naves inside and the roof are the result of the eighteenth-century architects of the Roman Academy. 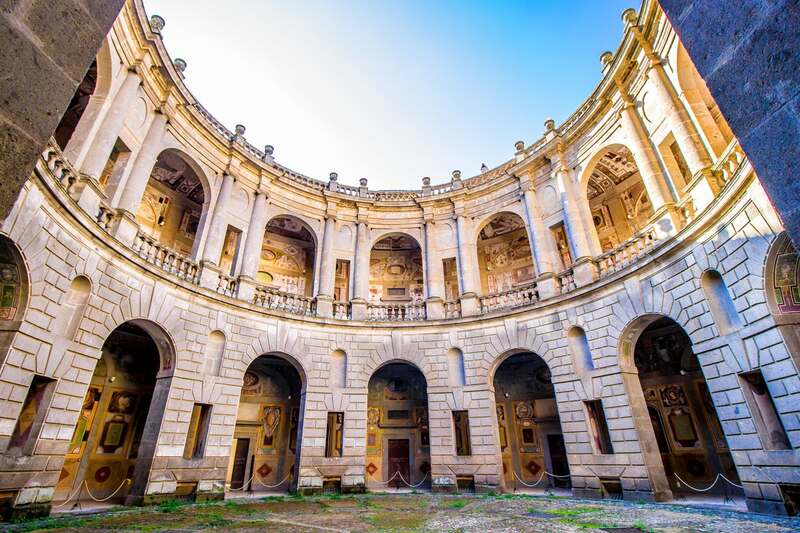 Caprarola: After a rather tiring climb, you have the right reward with the spectacular appearance of Palazzo Farnese. 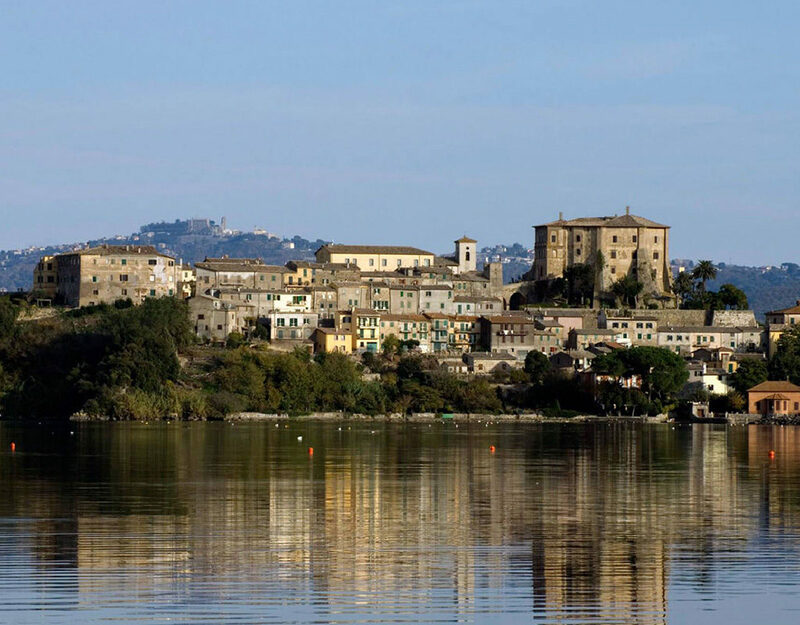 Vignola cut the hill to give the building a “superior” location to isolate it from the rest of the village and give it a panoramic view. From the double staircase leads to a balcony where you can rest a little while admiring a magnificent view over the village of Caprarola and the surrounding area. From these rooms there is access to the circular courtyard with two overlapping porticos and frescoed vaults. Here in the summer concerts and cultural events take place. The wonders of the interior start immediately: starting from the Scala Regia, a spiral staircase with thirty Doric columns. The steps, very large, betray the luxury for the convenience of Alessandro Farnese nephew: he did not want to climb them on foot, so he had them built at horse size! From this staircase you enter the Piano Nobile and some of the most beautiful rooms of the building. The bedroom (Aurora Room) and the Fasti Farnesiani Room are followed by frescoes that tell the life of the Farnese family. Next is the Anticamera del Concilio and the Sala dei Fasti di Ercole, decorated by Federico Zuccari, which tells the myth of the creation of the nearby Lake of Vico. According to legend, it was Ercole who created the lake with a blow of a club! One of the most beautiful rooms in the building is the Stanza delle Geografico or the Mappamondo, where you can see what the world knew at the time of the Farnese family. A singular room is the Hall of the Angels or Dell’Eco called so for the particular acoustic effects. 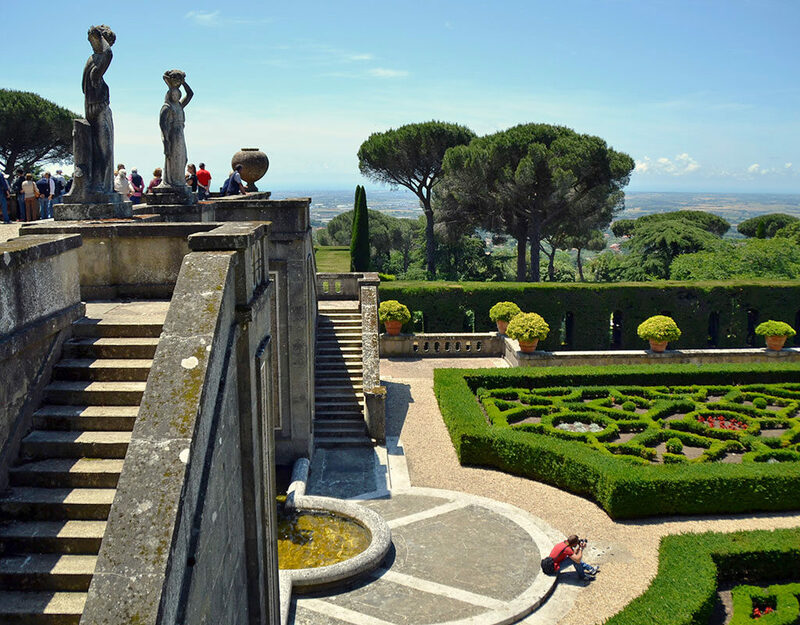 On the back of the building there are magnificent Italian gardens and the Casina del Piacere used by Luigi Einaudi as the summer residence of the President of the Republic. Not far from Caprarola there is one of the most beautiful and best preserved lakes in Italy: it is the lake of Vico, of volcanic origin, an interesting naturalistic area. The lake is ideal for a walk in nature, especially in spring and summer. A life is not enough to know Rome. This is at least the opinion of the Romans who inhabit it. However, it is possible to retrace its history to a large extent by visiting its most famous monuments. 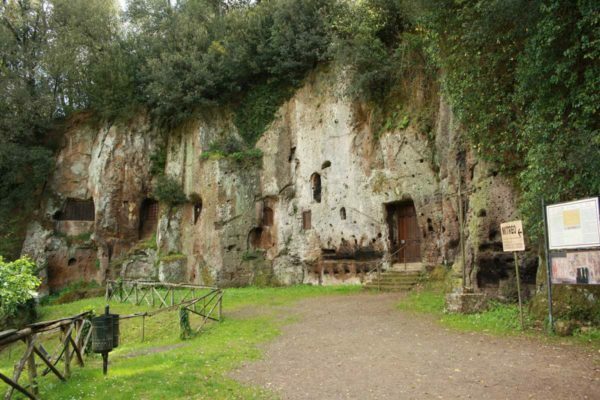 Thanks to its historical and archaeological importance, the necropolis of Cerveteri has been included, together with that of Tarquinia, among the UNESCO World Heritage sites.